It has taken me longer to write this than I had hoped because I was trying to come up with my top 5 favorite Olympic moments. But it became a real challenge to narrow it down to a reasonable number of moments, as every sport (36), every medal event (302) and every athlete (10,500+/-) deserve to be mentioned. Because that is what the Olympics are all about…the dedication, the sacrifice, “the agony, the ecstasy” (remember those commercials on TV? 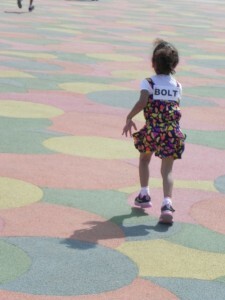 ), the Olympic Spirit. Then for all of us who are watching, it comes down to the inspiration…the inspiration to be better, push harder, live healthier, reach higher, love what you are doing, be a good sport, help each other, live the “Olympic Spirit”…which brings us to the motto for this year’s Games. So instead of “moments,” I have narrowed it down to the top five inspirations that I derived from the Games. 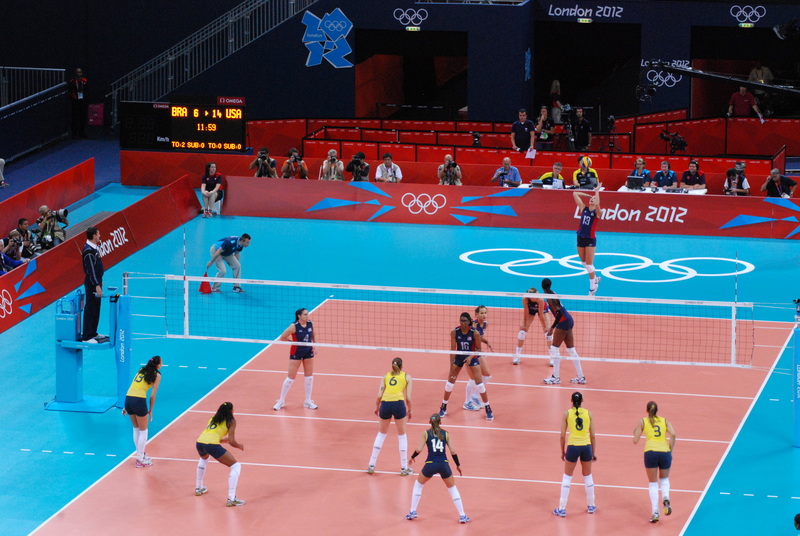 Inspiration #1: Women’s participation in the Games. This year, the USA team (as well as Turkey), for the first time, had more women on their Olympics team than men. And the USA women took home 29 of the total 46 USA gold medals. Every country was represented by a woman on their team (including Saudi Arabia, Qatar and Brunei for the very first time). And it was the first time that every sport had a female event, including boxing. Wow, I could stop right there! Inspiration #2. The U.S. swim team. Yes, I’ll mention Michael Phelps first, with his unbelievable achievement of racking up six more medals in London, to bring his total medal count to 22 and become the most decorated athlete in Olympics history. (I remember the excitement in Beijing when he won gold in all 8 events in which he participated). Plus he was the first male swimmer ever to have a 3-peat (three gold medals in the same event). 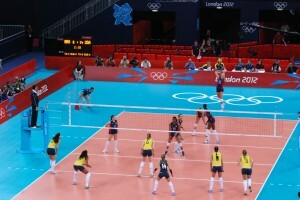 But beyond that was the team spirit that the USA team seemed to have this year. It wasn’t just about Michael (although the media tended to make it so)…it was about all of them as a unit. They sang together, laughed together, supported one another and were inspired by each other. And let’s not forget that three other Americans won a total of five medals each….Missy Franklin, Allison Schmitt and Ryan Lochte. 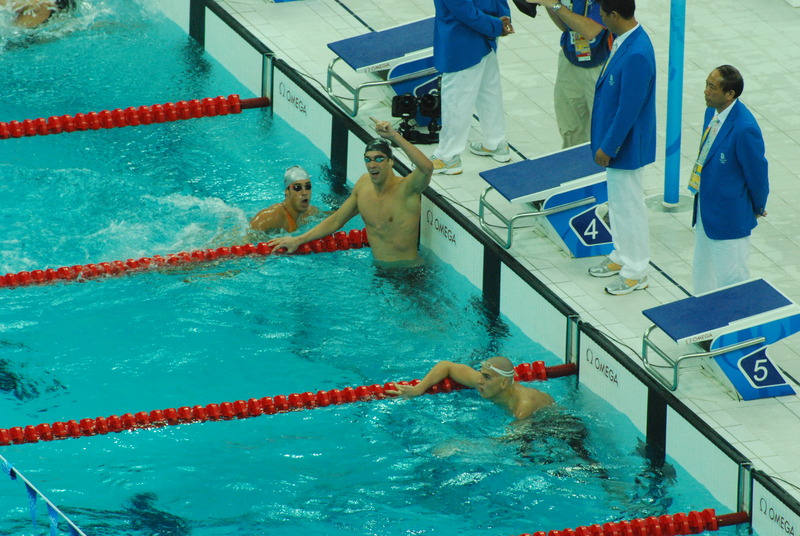 And there were four more who won four medals each…Dana Vollmer, Nathan Adrian, Matt Grevers and Rebecca Soni. The USA team racked up a total of 31 medals, compared to second place China with 10. The first athlete ever to do three repeats…in the 100M, 200M, and the 4x100M relay. Despite his cockiness, everyone at the Games loved him. I was walking past the stadium on the night and at the exact time that he was running in the 200M event….I knew that he had won because of the roar that came from that stadium! The big question….will he come to Rio to go for 3-peats? Yes, Gabby Douglas deserves the first mention here…the first black athlete to win the gymnastics gold medal. How inspiring is that?! But again, it was the team spirit of these young women that inspired me the most. Jordyn Wieber had to get past her own disappointment in not making it into the overall competition (only two people from each country can compete in the overalls, and even though she ranked fourth in the qualification round, two of her teammates, Gabby and Aly Raisman, had come in first and second). But she pulled it together to help the team win the overall gold medal in the team competition, and then sat in the stands and screamed for her teammates as they competed in the all-around competition. THAT was an amazing show of sportsmanship and Olympic Spirit. There were seven countries whose athletes, against all odds, captured the first medal for their countries, ever…Bahrain, Botswana, Cyprus, Gabon, Grenada, Montenegro and Guatemala. And Uganda won its second gold medal in history, this time for the marathon. And then there was Great Britain! 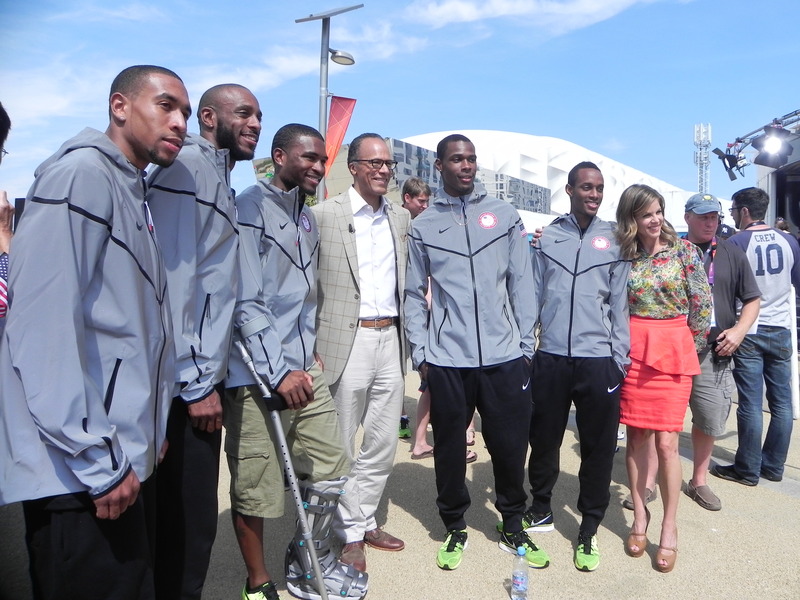 As the hosts of the Games, they wanted to have a good showing….and that they did. From Andy Murray (gold in tennis, of course) to Mo Farah (gold in both 5,000 and 10,000) to the Brownlee brothers (gold and bronze in triathlon), just to name a few The Brits scored 65 medals in total (compared to 47 in Beijing), coming in third in the gold medal count with 29 (compared to 19 in Beijing, and they had only received one gold medal in Atlanta in 1996). And besides the successes of their athletes, they pulled off a 3-peat themselves (being the first city to host the game three times), and they did it with great Brit hospitality and finesse. The paraplegic runner, Oscar Pistorious. Manteo Mitchell, running the 4×400 relay with a broken leg. Yes, there was plenty at the London2012 Games to Inspire “yet another” Generation…. 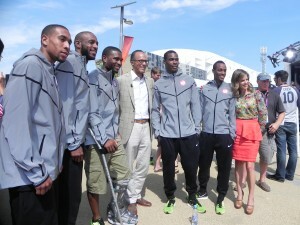 In closing (as in the Closing Ceremony)…. 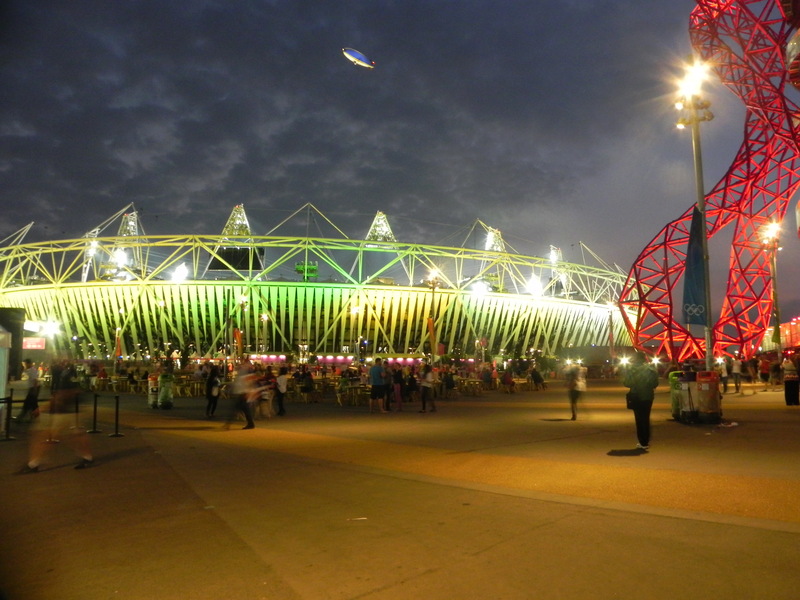 NBC television coverage; BBC television coverage; London2012 Results iPad App; London2012JoinIn iPad App; www.london2012.com; NYTimes; The Mail (London); The London Evening Standard; Metro (London); The Daily Telegraph (London); The Official Olympic Games Daily Programme. 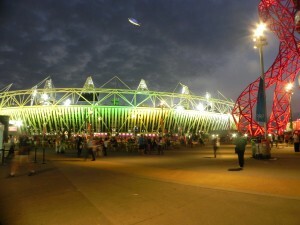 I have also been pinning/repinning photos to my London2012 Pinterest Board, so check that out, too. Was there something at the Games that inspired you? If so, post in the comments below, or on my Facebook page!